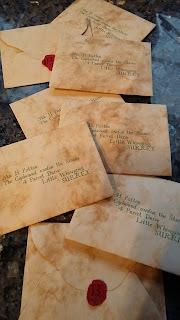 It's a Harry Potter themed Christmas this year, as on 27th December we're having a Harry Potter party! So I decided to go all out and decorate the tree with themed decorations as well. 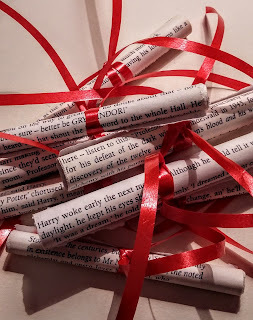 In case you're wondering Pinterest is the source of all amazing ideas relating to Harry Potter crafting! I'll come to the party itself on another post, so I'm focussing here on the tree. 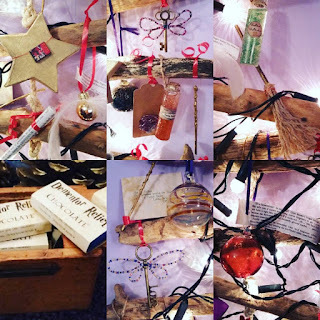 As usual, we have a driftwood 2d tree as it hangs against the wall (great space-saver!). 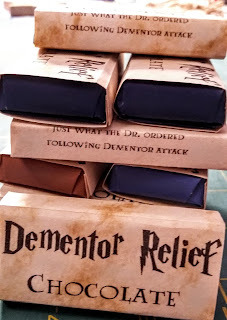 Dementor relief chocs (mini Green & Blacks wrapped in printed labels, on some parchment type paper I happened to have). 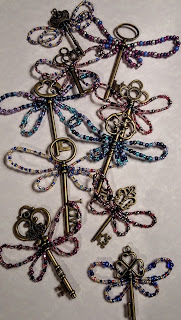 Flying keys (keys bought from ebay and decorated with beaded wings). Golden snitches (mini gold baubles with feather wings glued in place). 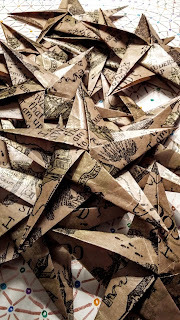 Marauders' map stars (origami stars from here. 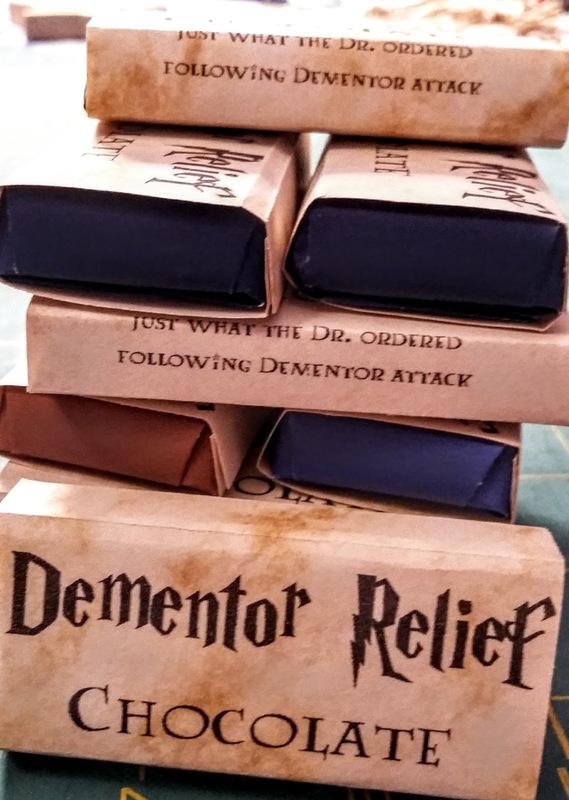 The paper is Marauders' map decorated, from ebay). Mini broomsticks (thin twigs with unravelled twine glued on and bound with wire). 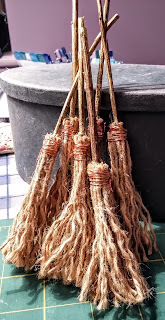 These I am most proud of! 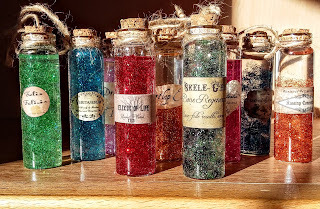 The bottles are from Hobbycraft as is the glitter glue inside them. The glue is mixed with a proportion of hot water to disperse it. 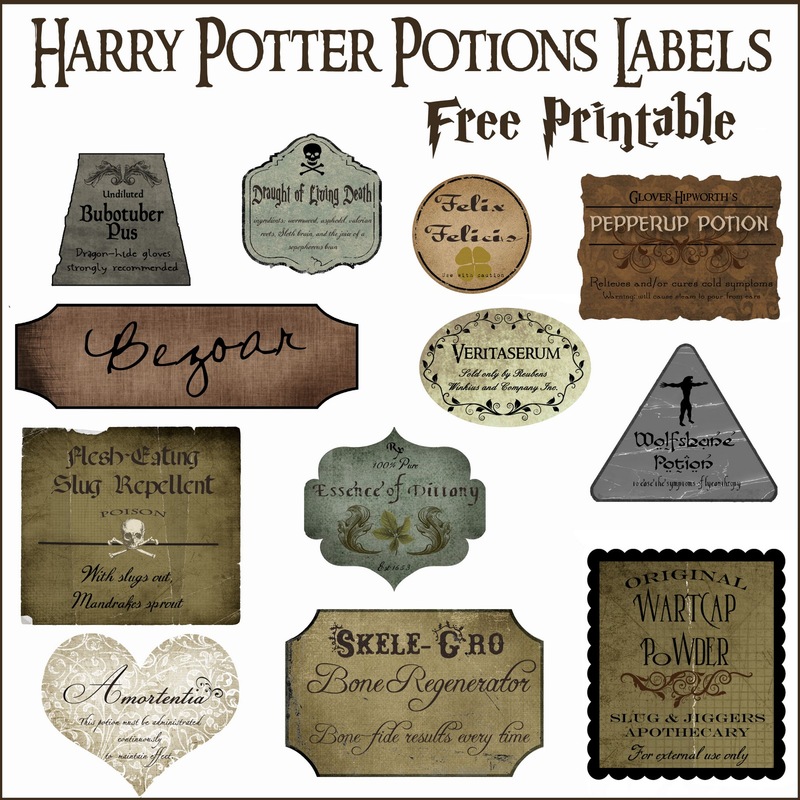 The labels are a download from here. twigs decorated with hot glue and painted gold - fiddly, but worth it! 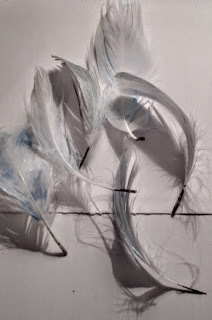 Left over feathers from the snitches brushed with a bit of blue paint and the ends dipped in ink. 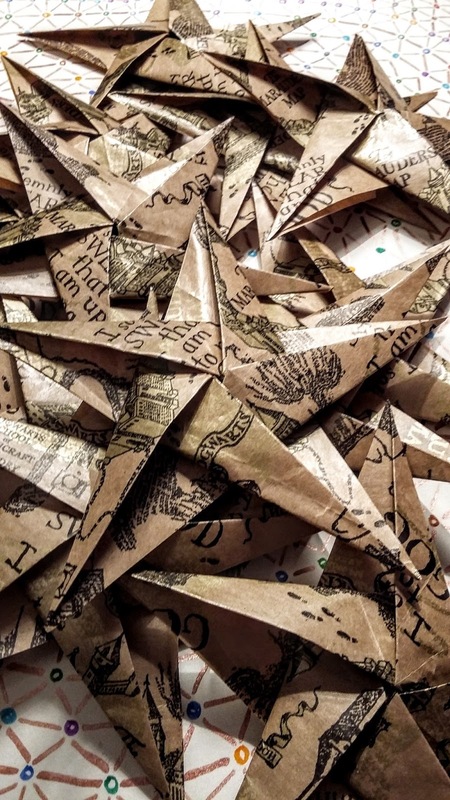 photocopied pages from the books rolled and tied. 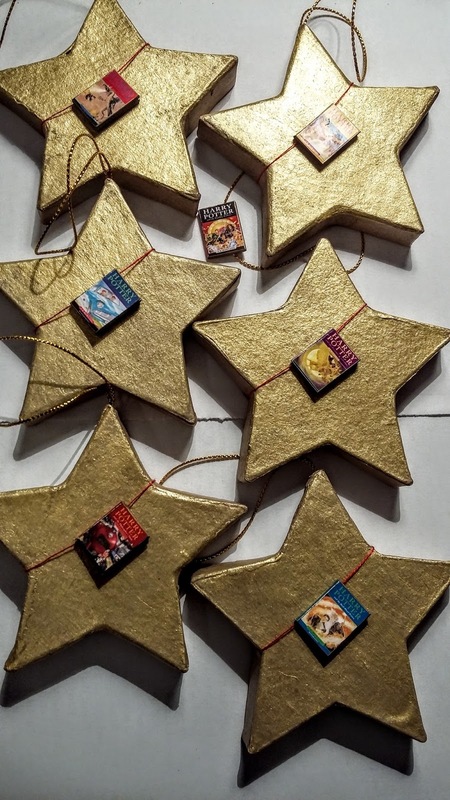 Stars with mini Harry Potter books. The books were a great find from Etsy, sold as dolls house decorations. I already had the stars from Hobbycraft (although only 6 at this point!) 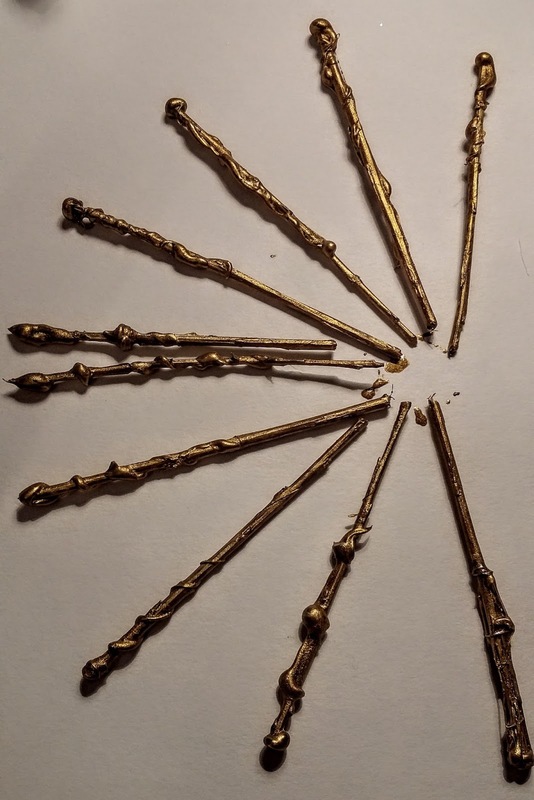 so painted them gold and strung the books on them. I decided not to glue the books on in case I want to do something else with them after. 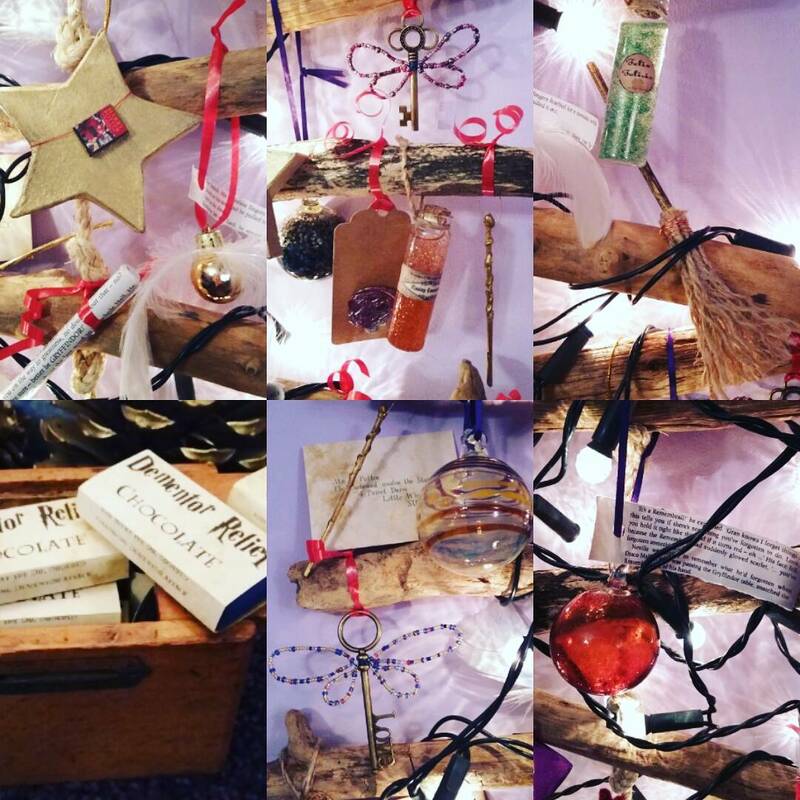 And here's what the whole tree looks like, complete with the set of books, a Marauders' map and Hedwig, who my son kept from his childhood! Finally a close up of the decs in situ! 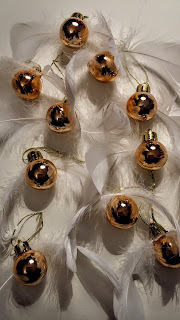 The glass baubles I had already, and added the text about the Remeberall to one of them. 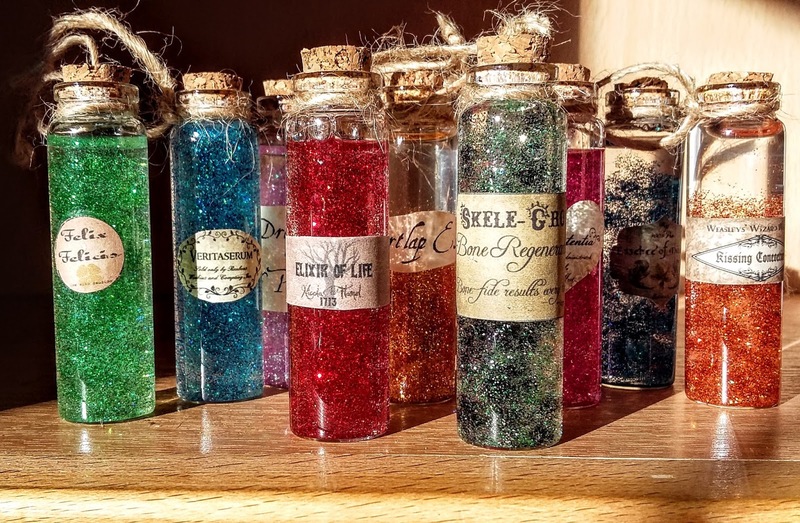 I had such a great time making these decorations, I hope you enjoy them!